If you’ve looked through our gallery then, spoiler alert, you know we’ve already thrown the idea of a ‘boring box’ out the window. The days of basic are over when it comes to retail and promotional packaging. A box needs to be salesperson, showcasing a product or organization when nobody else can. Let’s go over a few packaging upgrades that can give a box a standout presence. The slickest, coolest, most secure upgrade, magnets make the difference. Whether you opt for hidden magnetic tabs that snap lids shut with invisible power, or an ornate clasp straight from a castle gate, this element adds a sophistication that is the difference between post-consumer waste and reusable heirloom. Not only does a handle turn a box into a stylish makeshift briefcase, it also adds a lot of functionality. A presentation kit that can be transported easier, is something worth keeping around. Something memorable. A custom handle box shows that you care about the end-user. You’ve heard that eyes are the window to the soul, right? Well, flip it back on them! Put a window on your custom box for some all-around product transparency. 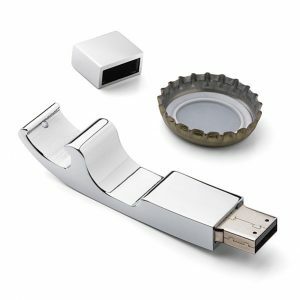 Perhaps a stylish opening to show off a textured material, a clear plastic that offers a glimpse, or a thermoformed blister for including a sample. Shiny! Embossing your logo into a rigid setup box already adds some dimension, but why not go all in on a foil stamp. This little upgrade adds a metallic sheen to your impression. Used tastefully, it’s the perfect complement and carries that look of richness. The breakthroughs in textured wraps for packaging will blow you away. From suede to snakeskin, your box can tap into that tactile appeal that makes or breaks products in the marketplace. If you have a box that can’t be put down, that’s half the battle right there. An oldie-but-goodie. Pockets are awesome. Functional. A little sleeve for a business card, or an industrial pocket for literature and instructions. These hidden accessories set projects apart, bringing your clients back for more. Pro tip: sleeves are cool, but if you need to include a compact disc, consider adding adhesive disc hubs to turn a binder or box into an instant DVD case. Stop thinking bubble bath, are start thinking contoured support. Die-cut foam inserts inside your custom marketing kit are the pinnacle of professionalism. Clean, crisp, and cut to the exact specifications of your product, a foam insert not only stores securely, it displays elegantly. As electronics become more and more inconspicuous, the easier they can be added to custom packaging products. RFID tags embedded in a box can either be used for instant package tracking, or give your clients an almost magical link to your website (think: reordering) or social media account (think: likes!). The day is fast approaching that super thin video screens could allow you to present that Super Bowl-quality commercial upon opening. These are just a few of the packaging upgrades available through Sunrise Packaging. Request a Quote for a quick and easy one-on-one with our experts! The only thing between you and getting noticed is a mouse click! It’s not impossible to find award-winning packaging. There’s the Dieline Awards, the Luxury Packaging Awards…but packaging that wins a Grammy? That’s huge. You might not know this, but there’s a category for the Grammy Awards that doesn’t get aired during the live telecast. Probably because the title is so long-winded, it would get cut short by the play-off music. The category is Best Boxed or Special Limited Edition Package and, since its inception in 1995, it’s usually presented at a ceremony preceding the awards show. And usually it’s given for some specialty artwork or cool inclusive. But this year’s BBSLEP–woof–Grammy Award-winning packaging was really a showstopper. The packaging isn’t the most practical (the website claims that each case is handmade and it could take up to a month to ship) but with a $400 price tag, the final product better be a little better than a cardboard box. 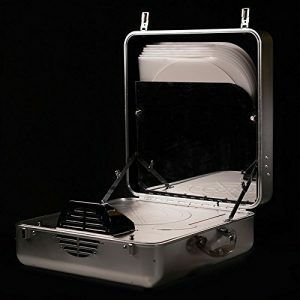 You don’t have to package your product in a metal suitcase, but you have to respect the idea behind it. The flash, the majesty, the shelf presence of presentation packaging draws a crowd. And, in some cases, draws a famous award too. Oh, by the way, last year’s Grammy in this category? Also went to Jack White for The Rise & Fall Of Paramount Records, Volume One. Check out that award-winning packaging, plus all the other winners here. Custom packaging is a pretty broad topic. Does it mean a cardboard box, a plastic wrapper, or a metal briefcase? When designing packaging for a product, the one major element to hit is to choose a design that complements the product itself. Form follows function, at the end of the day. 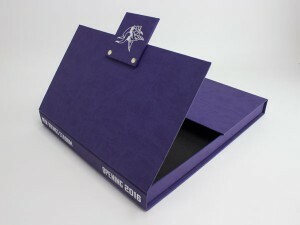 One way to keep a box customized while also the right fit for the job is to utilize digital printing. It is what you think it is: a process by which a digitally-stored image is printed directly onto the medium. This shouldn’t sound revolutionary. You might assume most images seen on packaging are digitally-printed. However, when it comes to boxes, t-shirts, or anything printed in large amounts, screen printing is still a more practical process in bulk. A new press release, however, shows the beauty of going digital. David Luttenberger, global packaging director for the Mintel Group, has made a list of packaging trends for 2016--and right at the top? A focus on digital print. Luttenberger calls the rise of this technique an evolution, not revolution. Which is true: experts have been predicting a digital boom as far back as 2013. But what digital printing offers is far more versatile than the endless, one-shot screen print process. Screen printing cannot be manipulated on the fly like digital can. With digital printing, you can change ingredients, logos, and instructions with a few changes to the digital source. 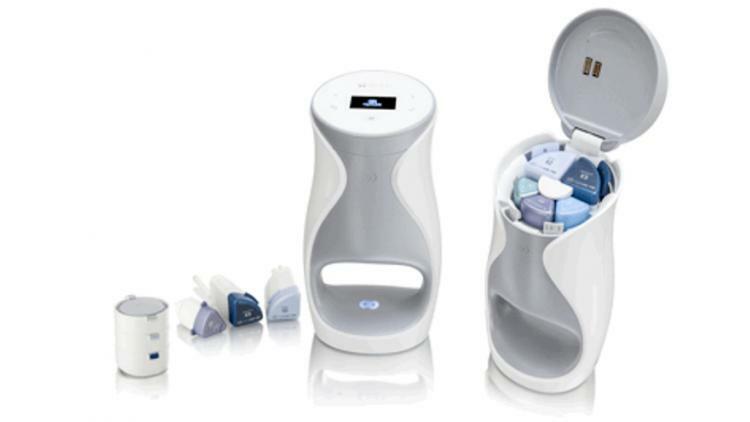 This allows for smaller runs, or preliminary press versions of product packaging. Luttenberger draws attention to the successful Coca-Cola campaign of including names on their labels. This imaginative marketing would not have been plausible with screen printing. Digital also allows you to include smaller details for higher-definition. Screen printing works for simple logos, but if you need to include lifelike imagery, digital is the only way to go. 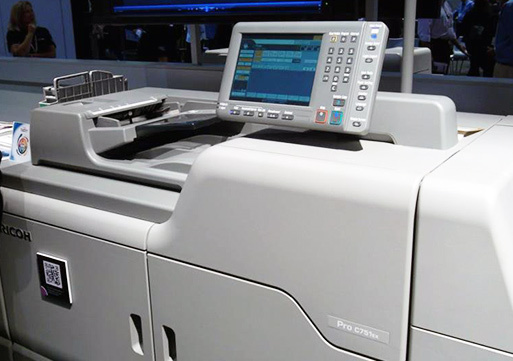 In a nutshell, digital printing gives businesses more freedom. Freedom to try a new look, a new campaign, or a new marketing strategy, without committing to the asset creation or monotony of screen printing. Will digital finally see it’s boom in 2016? Only time will tell. The evolution of smart Packaging has progressed very quickly. Just a few years ago, smart packaging meant a label on a box with a tracking number, or even more advanced: a barcode readable by a laser scanner. In more recent years, the QR Code, short for Quick Response, became so popular that it was hard to find an advertisement without one. Scannable by a smartphone, a QR code would bring an interested user to a website, tutorial video, or social media account. They became almost fashionable. Websites spawned to generate and track QR codes for the purposes of trend following. It looked like the new wave in online marketing strategy. And yet, today, if you were to Google ‘smart packaging’ QR codes would be the farthest from. While they are still an easy, worthwhile asset, smart or intelligent packaging has moved into an almost science-fiction-like state. Slim microchips that detect if food is rotting is included in packaging to help specify ‘sell by’ dates. One step further, nano-technology in packaging may actually inhibit mold and microbe growth. Where once packaging was meant to be kept secular from the product inside, it’s now directly linked to it. That is an evolution in packaging in general. 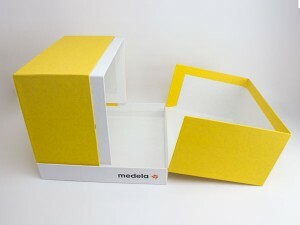 Boxes that are more than just a vessel of delivery, but actually sustain the contents. Support it and promote it. So while the distinction is smart packaging is splintering–active packaging, intelligent packaging, etc–the rate at which innovation is being made is exponential across the board. Slim micro-screens and app interaction have teamed up to make “virtual mirrors” for cosmetic products. The eerie sounding “augmented human” trend could let consumers try on makeup at the store without ever putting anything on their skin. In some ways, the future of packaging is in flux. There’s always a call for less wasteful packaging, but with the technologies listed above, paired with anti-theft measures, marketing tactics, and procedural instructions, one could argue packaging is more important than ever. It’s back and once again in sunny California. 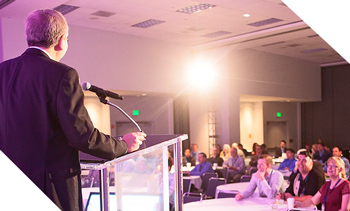 WestPack 2016 Anaheim represents one of the biggest packaging conventions in the States. 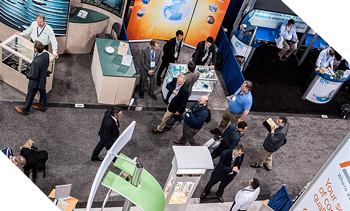 The 3-day event (Feb. 9 – 11) promises expert presentations and unparalleled networking opportunities for vendors, promoters, and those in need of product packaging. Beautiful setting aside, this is a unique convention in that it puts packaging aficionados and knowledgeable experts under one roof. 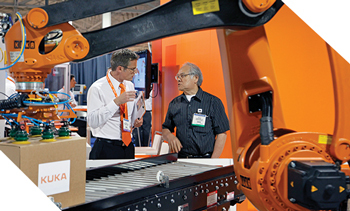 In addition to a more traditional convention floor setting (which is massive), the expo also hosts keynote speakers and panels ranging in topic from marketing strategy to the up-and-coming materials and textiles. It also features “speed networking” sessions. Like speed dating, but for business purposes. Fun and practical! Sunrise Packaging will be holding down Booth 5451, representing Minnesota in the luxury packaging industry. We will be premiering our new 2016 catalog, introducing our new Mag Box family, as well as showing off some of our wares. If you need an impromptu vacation, please come see us in sunny Anaheim California! Form follows function is the box design rule of thumb. But you can have a little fun with it. Such is the case with Aluminoes™, a collection of beautifully crafted aluminum dominoes. 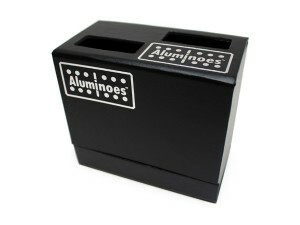 Their high quality construction paired with sharp colors, inlaid with crystals, and the ability to be custom engraved make Aluminoes™ a top-tier version of the classic game. This is a product that’s a perfect candidate for upscale box design. A twist on our Front Open box, this radical packaging features stylized windows that preview the product and riser for a sturdier fit. 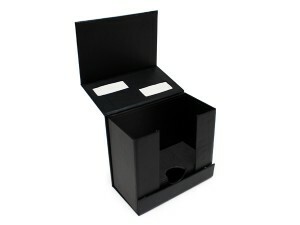 The overlapping lid secures into place with hidden magnetic tabs providing a luxurious enclosure. The rectangular windows add a symmetry to the minimalist design. The box is a stunning black with hints of white in the form of the offset logo. This symmetry, coupled with the black-and-white theme, is reminiscent of more traditional dominoes, but the product itself is anything but traditional. 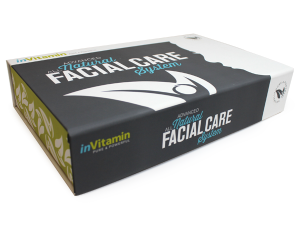 We love designing boxes to complement products. You don’t want packaging that steals the show entirely, nor would you want a product that is a diamond inside of a piece of coal. 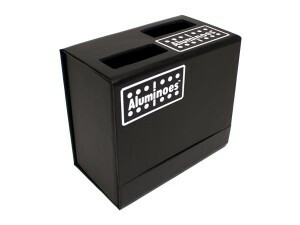 Aluminoes™ and their packaging represent a perfect middle ground between artistic design and functional storage. Keepsake packaging that becomes an instant memento, while retaining a sleek, modern look. 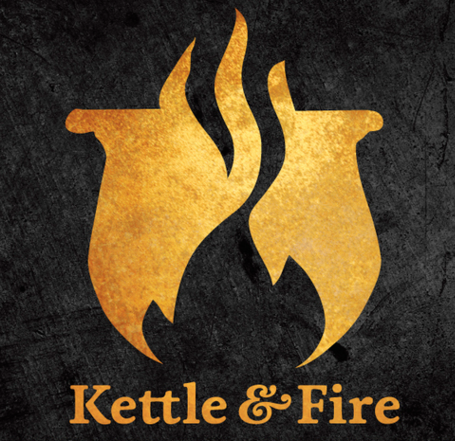 Learn more about Aluminoes™ by visiting their website here, and stay dialed into our blog for more interesting concept designs.